Financing a new home that you are building differs slightly from financing a new home that has already been constructed. 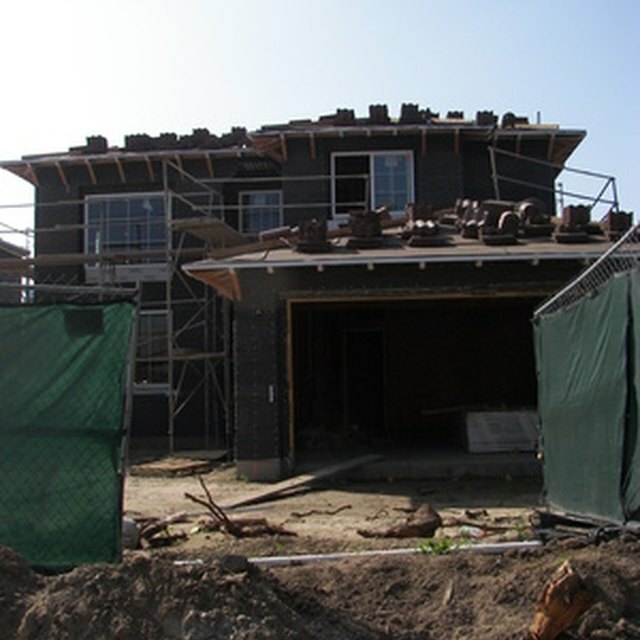 You need to obtain a construction loan, which requires you to make a down payment. This is a straightforward process, but to complete it, you need to know how much the construction process will cost and the percentage that the lender will require as a down payment. Select a lot, or piece of land, where you want to build your house. Negotiate with the seller to reach an agreed price for the land. Get an estimate for the construction costs from your contractor. You will want to get estimates from at least three contractors. Present the contractors with the plans for the home so you can get a precise estimate. Choose the contractor whom you feel can do the best job, and make sure to get the estimate in writing. Apply for a construction loan with a bank or other financial institution. A construction loan is a loan used to finance the construction of a home. It is typically paid off after the home is completed, at which point it is often converted to a home mortgage. Calculate the required down payment. Typically, the down payment on a construction loan ranges from 20 to 30 percent of the total loan amount. Add the cost of the land and the cost of the construction to get the total estimated cost for the project. Multiply this number by the down payment percentage. This will give you the amount of the down payment. Pay the down payment to the lender. This money will go toward the total loan amount, meaning that you will not need to repay this portion of the loan or pay interest on it. The larger the down payment, the less you will pay in interest, so it can be advantageous to make a larger down payment than required by the lender.